Dr. Erika R. Marquez is a Research Associate for the Nevada Institute for Children’s Research and Policy. She has devoted the last decade of her career to working on local issues focused on housing quality, housing-related health concerns, and housing equity. In September 2016, Dr. Marquez was appointed to the U.S. Office of Minority Health’s Pacific and Southwest Regional Health Equity Council. 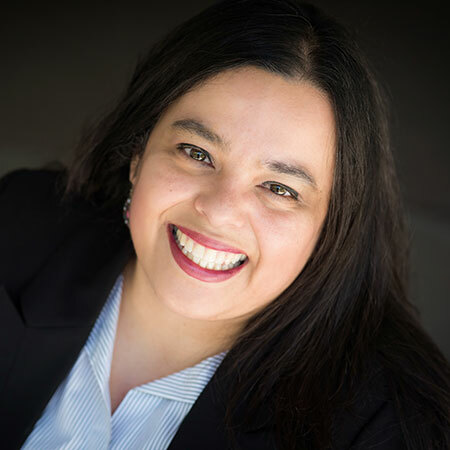 She also sits on the Clark County Department of Social Services Citizens Advisory Committee and is an active member of the Nevada Minority Health and Equity Coalition. Dr. Marquez was instrumental in transitioning the Clark County Childhood Lead Poisoning Prevention Program into an integrated Healthy Homes approach through the development of the Nevada Healthy Homes Partnership, which subsequently received multiple years of federal funding to improve the quality of housing in Clark County. She earned her Bachelor of Science degree from San Francisco State University and completed her Master of Public Health degree in Epidemiology and Biostatistics and her Ph.D. in Public Health with a focus in Social Behavioral Health at the University of Nevada, Las Vegas. Dr. Marquez has conducted research at each of these institutions as well as Stanford University. Her research interests include the built environment, the impacts of substandard housing, social determinants of health as they impact vulnerable populations, healthcare infrastructure, health access, and ways to approach public health policy and programs utilizing systematic approaches, including Health Impact Assessments. She also serves as Adjunct Faculty for the UNLV School of Community Health Sciences. Dr. Marquez is passionate and committed to improving the lives and health of the residents of Nevada.